OVERVIEW This website is operated by PURCHASEKARO ONLINE SHOPPING PVT LTD. 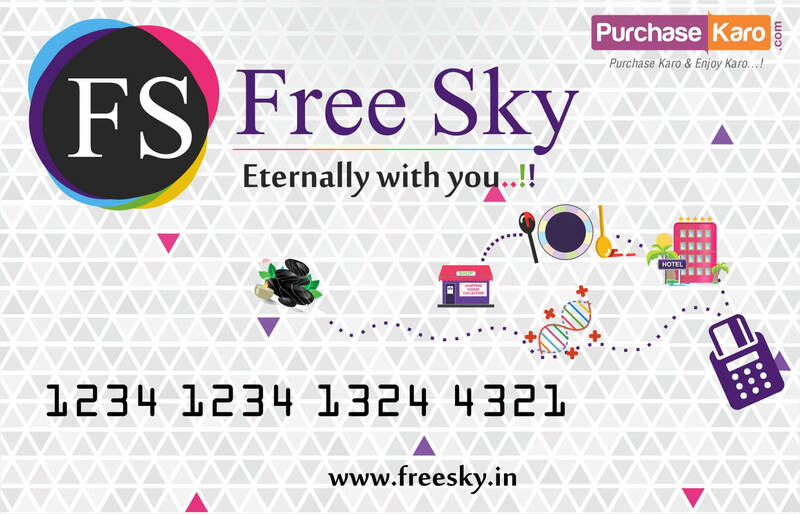 Throughout the site, the terms “we”, “us” and “our” refer to PURCHASEKARO ONLINE SHOPPING PVT LTD.. PURCHASEKARO ONLINE SHOPPING PVT LTD. offers this website, including all information, tools and services available from this site to you, the user, conditioned upon your acceptance of all terms, conditions, policies and notices stated here. SECTION 1 - ONLINE STORE TERMS By agreeing to these Terms of Service, you represent that you are at least the age of majority in your state or province of residence, or that you are the age of majority in your state or province of residence and you have given us your consent to allow any of your minor dependents to use this site. SECTION 2 - SEND SMS We at PurchaseKaro.com had rights to send all our registered customers transactions and promotional messages. SECTION 3 - GENERAL CONDITIONS We reserve the right to refuse service to anyone for any reason at any time. SECTION 4 - ACCURACY, COMPLETENESS AND TIMELINESS OF INFORMATION We are not responsible if information made available on this site is not accurate, complete or current. The material on this site is provided for general information only and should not be relied upon or used as the sole basis for making decisions without consulting primary, more accurate, more complete or more timely sources of information. Any reliance on the material on this site is at your own risk. SECTION 5 - MODIFICATIONS TO THE SERVICE AND PRICES Prices for our products are subject to change without notice. SECTION 6 - PRODUCTS OR SERVICES Certain products or services may be available exclusively online through the website. These products or services may have limited quantities and are subject to return or exchange only according to our Return Policy. SECTION 7 - ACCURACY OF BILLING AND ACCOUNT INFORMATION We reserve the right to refuse any order you place with us. We may, in our sole discretion, limit or cancel quantities purchased per person, per household or per order. These restrictions may include orders placed by or under the same customer account, the same credit card, and/or orders that use the same billing and/or shipping address. In the event that we make a change to or cancel an order, we may attempt to notify you by contacting the e-mail and/or billing address/phone number provided at the time the order was made. We reserve the right to limit or prohibit orders that, in our sole judgment, appear to be placed by dealers, resellers or distributors. SECTION 8 - OPTIONAL TOOLS We may provide you with access to third-party tools over which we neither monitor nor have any control nor input. SECTION 9 - THIRD-PARTY LINKS Certain content, products and services available via our Service may include materials from third-parties. SECTION 10 - USER COMMENTS, FEEDBACK AND OTHER SUBMISSIONS If, at our request, you send certain specific submissions (for example contest entries) or without a request from us you send creative ideas, suggestions, proposals, plans, or other materials, whether online, by email, by postal mail, or otherwise (collectively, 'comments'), you agree that we may, at any time, without restriction, edit, copy, publish, distribute, translate and otherwise use in any medium any comments that you forward to us. We are and shall be under no obligation (1) to maintain any comments in confidence; (2) to pay compensation for any comments; or (3) to respond to any comments. SECTION 12 - ERRORS, INACCURACIES AND COMISSIONS Occasionally there may be information on our site or in the Service that contains typographical errors, inaccuracies or omissions that may relate to product descriptions, pricing, promotions, offers, product shipping charges, transit times and availability. We reserve the right to correct any errors, inaccuracies or omissions, and to change or update information or cancel orders if any information in the Service or on any related website is inaccurate at any time without prior notice (including after you have submitted your order). SECTION 13 - PROHIBITED USES In addition to other prohibitions as set forth in the Terms of Service, you are prohibited from using the site or its content: (a) for any unlawful purpose; (b) to solicit others to perform or participate in any unlawful acts; (c) to violate any international, federal, provincial or state regulations, rules, laws, or local ordinances; (d) to infringe upon or violate our intellectual property rights or the intellectual property rights of others; (e) to harass, abuse, insult, harm, defame, slander, disparage, intimidate, or discriminate based on gender, sexual orientation, religion, ethnicity, race, age, national origin, or disability; (f) to submit false or misleading information; (g) to upload or transmit viruses or any other type of malicious code that will or may be used in any way that will affect the functionality or operation of the Service or of any related website, other websites, or the Internet; (h) to collect or track the personal information of others; (i) to spam, phish, pharm, pretext, spider, crawl, or scrape; (j) for any obscene or immoral purpose; or (k) to interfere with or circumvent the security features of the Service or any related website, other websites, or the Internet. We reserve the right to terminate your use of the Service or any related website for violating any of the prohibited uses. SECTION 14 - DISCLAIMER OF WARRANTIES; LIMITATION OF LIABILITY We do not guarantee, represent or warrant that your use of our service will be uninterrupted, timely, secure or error-free. In no case shall PURCHASEKARO ONLINE SHOPPING PVT LTD., our directors, officers, employees, affiliates, agents, contractors, interns, suppliers, service providers or licensors be liable for any injury, loss, claim, or any direct, indirect, incidental, punitive, special, or consequential damages of any kind, including, without limitation lost profits, lost revenue, lost savings, loss of data, replacement costs, or any similar damages, whether based in contract, tort (including negligence), strict liability or otherwise, arising from your use of any of the service or any products procured using the service, or for any other claim related in any way to your use of the service or any product, including, but not limited to, any errors or omissions in any content, or any loss or damage of any kind incurred as a result of the use of the service or any content (or product) posted, transmitted, or otherwise made available via the service, even if advised of their possibility. Because some states or jurisdictions do not allow the exclusion or the limitation of liability for consequential or incidental damages, in such states or jurisdictions, our liability shall be limited to the maximum extent permitted by law. SECTION 15 - INDEMNIFICATION You agree to indemnify, defend and hold harmless PURCHASEKARO ONLINE SHOPPING PVT LTD. and our parent, subsidiaries, affiliates, partners, officers, directors, agents, contractors, licensors, service providers, subcontractors, suppliers, interns and employees, harmless from any claim or demand, including reasonable attorneys’ fees, made by any third-party due to or arising out of your breach of these Terms of Service or the documents they incorporate by reference, or your violation of any law or the rights of a third-party. SECTION 16 - SEVERABILITY In the event that any provision of these Terms of Service is determined to be unlawful, void or unenforceable, such provision shall nonetheless be enforceable to the fullest extent permitted by applicable law, and the unenforceable portion shall be deemed to be severed from these Terms of Service, such determination shall not affect the validity and enforceability of any other remaining provisions. SECTION 17 - TERMINATION The obligations and liabilities of the parties incurred prior to the termination date shall survive the termination of this agreement for all purposes. SECTION 18 - ENTIRE AGREEMENT The failure of us to exercise or enforce any right or provision of these Terms of Service shall not constitute a waiver of such right or provision. SECTION 20 - CHANGES TO TERMS OF SERVICE You can review the most current version of the Terms of Service at any time at this page.